In this tutorial you'll see through an example how to load image from url using Swift. 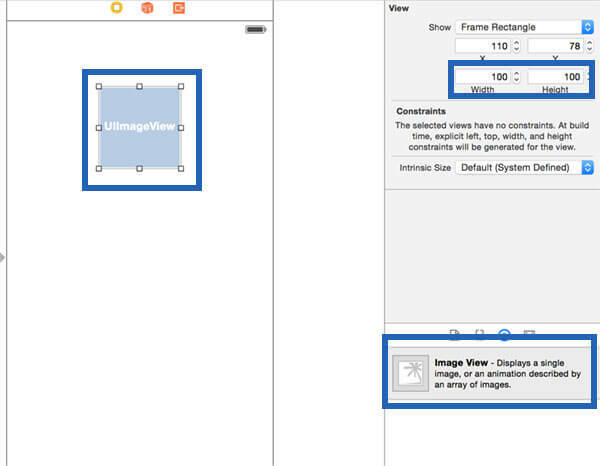 You'll see how to add in the storyboard the UIImageView component, how to load the image programmatically from URL and how to display the image data in your UIImageView. Let's start by creating a new Swift iOS single view project and, once created, open the main.storyboard. You can turn the disable the use size classes feature off, from the file inspector section. In the default ViewController add the Image View component. Under the size inspector set a frame rectangle with a width of 100 and a height of 100. Let's now add the constraints. Pick the align button and align the UIImageView component horizontally. 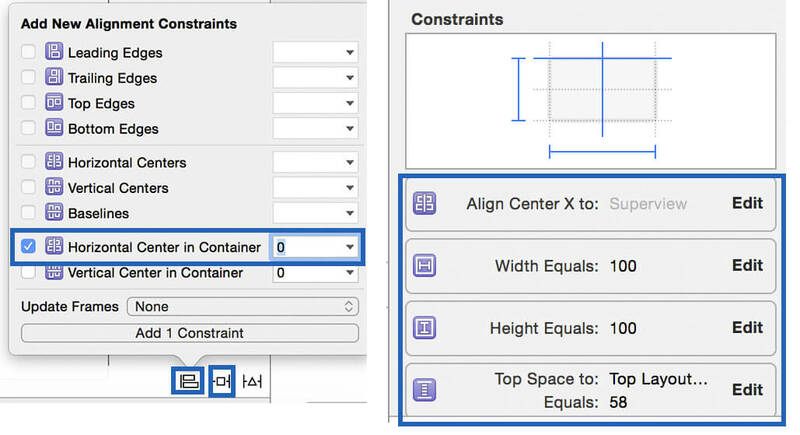 Add also the top constraint and set the width and height constraints to 100. Open the assistant editor and assign in the ViewController.swift class to the UIImage component a variable : call it image_view. In the View_Controller.swift class, define the class that perform the asynchronous request. This function requires as an input the image url string, and the UIImageView reference (the variable defined using the assistand editor). You can reuse this function for every image you have to load, you have just to call it passing the image url string and the corresponding UIImageView reference, then as soon as the image data is ready the image will appear in the right view. var image_url: NSURL = NSURL(string: image_url_string)! In the next tutorial you'll see how to load the images in a TableView Controller using the same load_image function, how to use core data to cache the images loaded from url and how to read them when needed, without downloading them again.